Interview by Lori Bizzoco. Written by Elizabeth Kim. Foreigner formed in 1976, and since then, they’ve sold more than 80 million albums. Over three decades later, hits like “I Want to Know What Love Is” and “Cold as Ice” continue to make waves. After multiple lineup changes, Hansen joined the band as their vocalist in 2005. 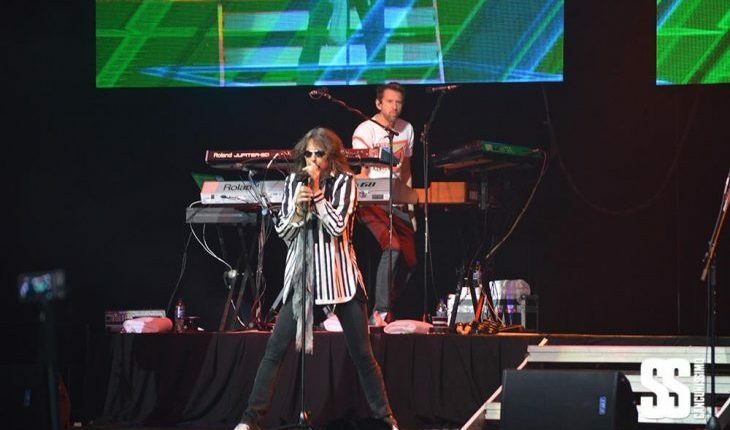 Although he’s been in the music industry since 1985, he feels that Foreigner has given him the kickstart he needed to do what he loves: sing. He found an online article about a charity show where original Foreigner front man Mick Jones was performing. The piece also alluded to problems within the band. “I wasn’t aware of the status of Foreigner at the time; it was in limbo,” Hansen says. “So I got in touch with management. We went back and forth, and we ended up putting my voice on some Foreigner tracks.” The rest is history. The lead singer believes that Foreigner isn’t trying to be a copy of what it used to be, saying, “My biggest thing is that I want to do the songs justice and deliver them sincerely.” To Hansen, upholding the proud history, reputation, and standard of Foreigner is more important than trying to duplicate Jones’s signature wail. After his entrance into Foreigner in 2005, he describes the journey as a “crazy, wild Mr. Toad’s ride.” However, even he admits that when you live most of your life on the road, your family can fall by the wayside. The most important step in keeping a relationship and love alive is to remind yourself that your life does not begin or end on the road. “You can’t wait to go home to live your life. That means incorporating your loved ones into the process,” he reveals in our celebrity interview. Whether it’s through scheduling Skype video chats and daily phone calls or even bringing your significant other with you, allowing the important people in your life to be a part of your world prevents emotional distance no matter how far apart you may be. “That’s helped me a lot because, while I was out on the road, I kind of held my breath, waiting to live my life once I got home. This is a much better way to do it,” he says. With stops in Paris, Belgium, and Israel — just to name a few — Hansen will have to stock up on calling cards as Foreigner embarks on a mega world tour this year. “We’ll come back and do a big summer tour in America and then go to Germany in the fall and do an acoustic tour, so that will be very cool,” he shares. Regardless, Hansen believes that fans shouldn’t have to wait for halftime to celebrate. He describes Foreigner’s surprise performance as a way to help people not only celebrate the upcoming halftime show but also celebrate life. “You can have halftime in unusual places and during unusual things; it doesn’t just have to be football,” he divulges. For more information on Foreigner’s 2014 tour dates, visit their website at foreigneronline.com.